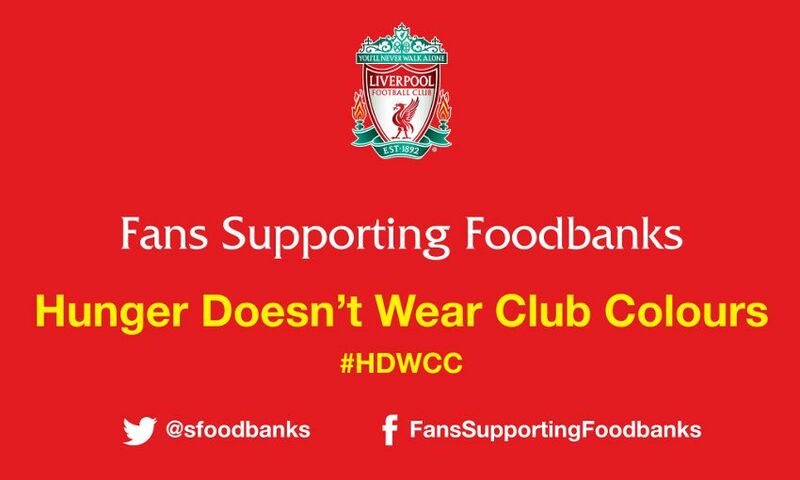 Liverpool Football Club is continuing its support of Fans Supporting Foodbanks this season - and you can donate ahead of Sunday's encounter with Manchester City. As part of its dedication to tackle food poverty, the Red Neighbours programme backs the Fans Supporting Foodbanks initiative and hosts foodbank collections at all home games. Collected items are made into three-day emergency food parcels for local people in crisis within the L4, L5 and L6 postcodes, and last season, the Red Neighbours' matchday collections equated to 1,768 meals for families in north Liverpool. Supporters attending the game can drop off any non-perishable food donations at the foodbank collection points, which are located on Anfield Road, next to the club's Family Park, and inside the new Anfield superstore. All food collected will be donated to the North Liverpool Foodbank.